O love as much as you can ! O love as long as you can ! 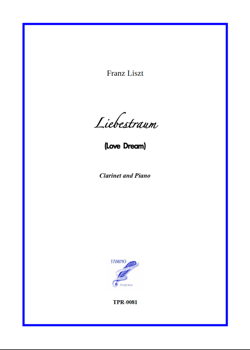 Franz Liszt's famous "Liebestraum" arranged for Clarinet and Piano. Synopsis This is a transcription for Viola and Piano of Franz Liszt's very famous Notturno n°3, which is itself baed on a lied for Soprano and Piano written on a poem by Ferdinand Frieligrath. The first verses could be translated like this: "O Love, as much as you can ! Oh love, as much as you want ! ".